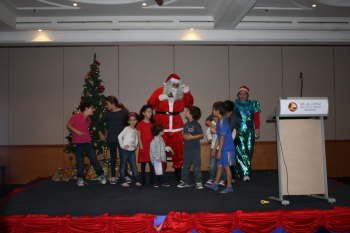 The Alumni Association - Bahrain Chapter organized its annual Christmas brunch on December 7, 2012 at the Awal Ball Room of the Gulf Hotel. The event was an opportunity for alumni and their families to get together and enjoy the spirit of the holidays. Generous Santa was there and distributed gifts to the kids. Parents too had their share of fun and enjoyed a variety of games and entertainment.